HVAC maintenance is a must, but when data centres are involved things get a little bit tricky. Here’s a quick reference guide to ensure data centre cooling continuity during central HVAC maintenance programs. The most common way to keep a data centre cool while servicing the central HVAC system is to use temporary portable air conditioners. Here are the key considerations and should be included in your plan. Most data centres are crammed tight with server racks and don’t leave much space for temporary air conditioning units. Because of this facility managers and HVAC contractors alike prize temporary air conditioning units that have optimal capacity with the smallest footprint. Keep these size restrictions in mind while planning which units to use. What cooling capacity does the data centre really require? Central HVAC systems are generally over specified, but for a temporary install define what’s actually required and add a small amount of wriggle room. Just be sure to consider the point above regarding space. Does the data centre have enough power for the temporary air conditioning units? Most units require their own circuit and three phase power points. If the data centre doesn’t have spare power capacity plan to include a generator. Plan what cables will also be required so there are no hold ups when on site. Where will the hot air be vented to? In small data centres small air conditioning units can be used and vented into the ceiling. But not all data centres will allow for this so note where the closest window or door is that you can use to vent the the hot air. How will condensate be removed? Does your chosen air conditioning unit capture the condense in a tank? If so, who is going to empty it and how often? If not, where can the condensate be drained to? How will the cool air be distributed around the data centre? Directed or ducted? If ducted and you need a long duct run make sure the unit can cope with high static pressure without affecting capacity. If directed, make sure you know exactly where the units will be placed. Even the best laid plans can go astray if the right people are not involved. Be sure to have the correct security access to the data centre and the right people on hand should you run into any problems with the facility or the equipment. We recommend the stalwart 20 kW Portable Air Conditioner as it provides huge amounts of quick and effective cooling yet can be wheeled through a standard door. It’s also favoured because it has long duct runs (50m) and copes with high static pressure without affecting capacity. It also doesn’t need to be placed near a door or window. 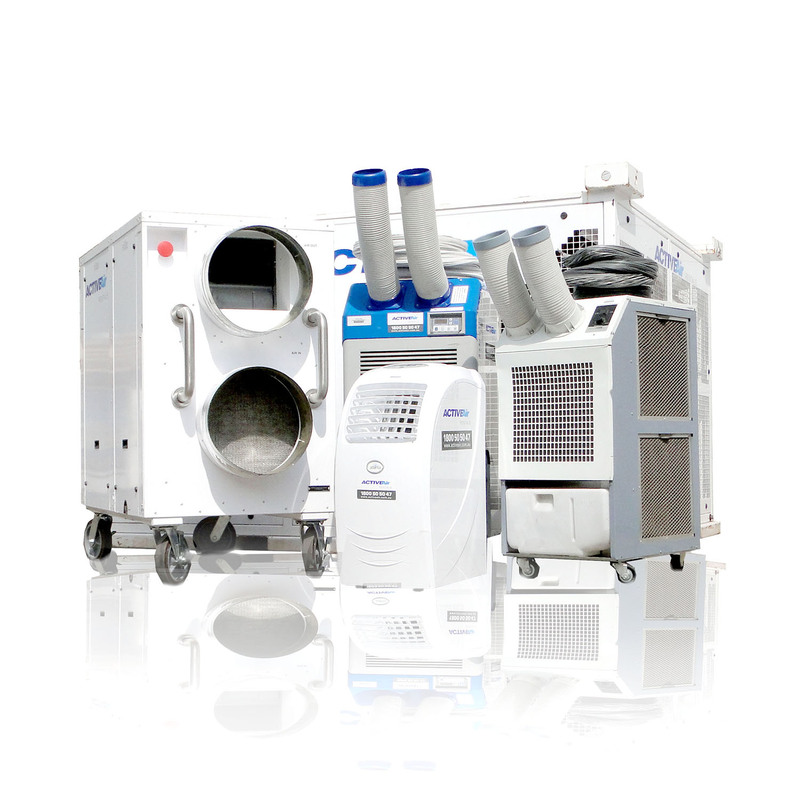 For smaller data centres or server rooms we recommend the 4.5kW Portable Air Conditioner. It’s the industry standard in temporary air conditioners, plugs into a standard single phase 3 pin outlet and can vent into a ceiling space. Have a look at the 20 kW Portable Air Conditioner, give us a call 1800 50 50 47 or fill in the form below for ideas and prices.